Hanko rolls 20 and jean-luc rolls 11. Hanko decides to go 1st. Hanko opens the game with Pot Of Duality, revealing Stellarnova Alpha, Satellarknight Altair and Satellarknight Unukalhai. He picks Unukalhai and summons it, sending Deneb through its effect. Hanko sets Dimensional Prison, Call of the Haunted and Soul Charge. Jean blindly uses Mystical Space Typhoon and hits Dimensional Prison. He normal summons Red Gadget to grab Yellow with its effect. “Why did you blind mst?” asks Hanko, to which Jean-Luc jokingly replied “because i’m bad” . He sets 1 backrow and tries to pass his turn but Hanko flips his set Call and grabs Deneb from grave using it to add Altair to hand. Hanko draws and XYZ summons Constellar Omega, activating the effect detaching Deneb, he then summons Vega to summon the Satellarknight Alsahm and burns for 1000 damage with its effect. He then attacks with all 3 and then XYZ summons Heroic Champion – Gandiva. He passes his turn. Jean reads Gandiva carefully after his draw. He normal summons Yellow Gadget and uses its effect as chain link 1, chaining Call of the haunted as chain link 2 to grab Red and using Chain Summoning as chain link 3, raising his amount of normal summons this turn from 1 to 3. Red gadget and Gandiva both cannot activate mid chain so the chain resolves normally. 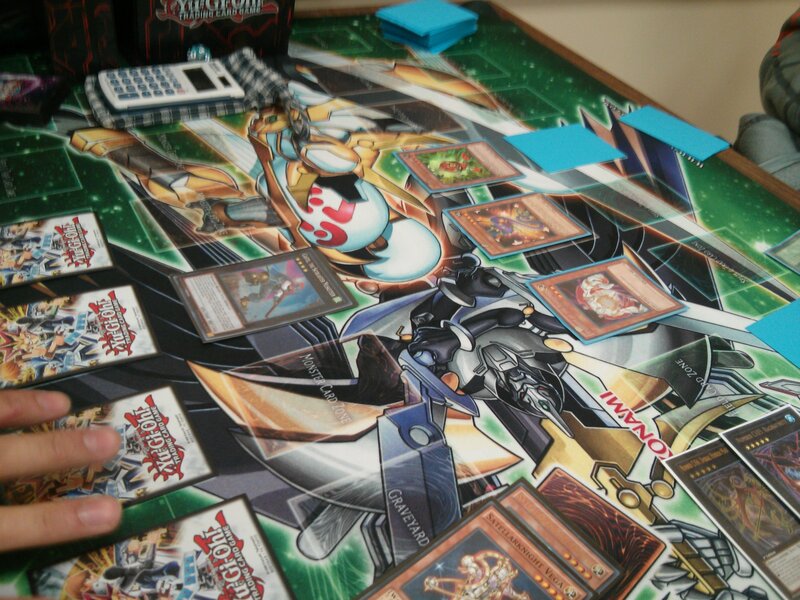 Jean-Luc XYZ summons Gear Gigant X and uses its effect to add Tin Goldfish from deck to his hand. Jean has 2 normal summons left thanks to Chain Summoning. He normal summons Banisher of the Radiance and enters his battle phase, destroying Gandiva with Gear Gigant. Main phase 2 he uses the last normal summon on Tin Goldfish to summon Green Gadget and search Red. He XYZ summons Number 101: Silent Honor ARK and takes Omega as a material, sending Omega’s materials to grave, then passes his turn. Hanko draws and exclaims “the top decks are real!”. After confirming Jean-Luc had 3 cards in hand, Hanko normal summons Deneb to grab Vega and activates Soul Charge on a second Deneb. He makes Evilswarm Exciton Knight in defense and uses its effect to send everything to grave, Honor ARK saving itself by detaching one material. Hanko passes. Jean-Luc summons Banisher and attacks the defense position Exciton Knight, then attacks direct with ARK. He passes afterword. Hanko summons Vega, his effect summoning Altair. Altair attack over Banisher and then Hanko makes his own Number 101 in main phase 2, taking Jean-Luc’s Honor ARK as a material. He sets Torrential Tribute and passes. Jean-Luc tries to summon a gadget and opts to not use the effect, using Kagetokage as chain link 1. Hanko responds to the summon of Kagetokage with Torrential, leaving only Hankos Honor ARK with no materials. Hanko sets wiretap and passes. Jean-Luc summons Green Gadget and uses Forbidden Lance to attack over over Number 101. He passes afterword. Hanko sets Solemn Warning and passes. Jean-Luc hits for 1400 with Green Gadget and passes. Hanko draws Reinforcement Of The Army, using it to get Altair to his hand, he summons it to grab Vega. Altair attacks Green Gadget and Hanko makes Gagaga Cowboy, burning for 800 damage and winning the game. Game 1 ends after some serious back and forth in Hanko’s favor. Jean-Luc decides to go first. He opens the game with Performapal Whip Snake, setting 2 backrow and passing. Hanko summons Deneb and tries to use the effect, but is stopped by Light-Imprisoning Mirror. Hanko sets 3 backrow and passes. Jean-Luc sets 1 more backrow and passes. Hanko thinks about his plays, then summons Vega and XYZ summons Castel, the Skyblaster Musketeer using its effect to hit Light Mirror. He tries to enter battle phase but Whip Snake’s effect is activated, changing Castel’s attack and defense. Hanko sets 1 and passes. Jean luc summons Banisher and it is hit by Bottomless Trap Hole, but Whip Snake is chained targeting the Banisher. Since Banisher now has 0 atk for the turn, it is unaffected by the Bottomless. With Banisher safe but Whip Snake used for the turn, He passes. Hanko sets 1 card and passes after remarking “I fear the whip snake”. Jean-Luc summons Red Gadget, using its effect as chain link 1, he chains Whip Snake targeting Castel as chain link 2, then activates Chain Summoning as chain link 3. He normals Yellow Gadget with his second normal summon and searches another Gadget. Jean-Luc XYZ summons Gear Gigant X with the gadgets but it is meet with Hankos Compulsory Evacuation Device. The third normal summon is used on Tin Goldfish, its effect summoning Green Gadget who searches for the Red. He XYZ summons Number 103: Ragnazero and uses its effect on Castel to destroy it and draw one card. He passes. Hanko draws for turn.He summons Deneb and uses the effect, chaining breakthrough skill as chain link 2, targeting Banisher. Deneb searches Altair. He attempts to enter battle phase and is again met with Whip Snake’s effect targeting Deneb. Hanko sets 1 and passes. 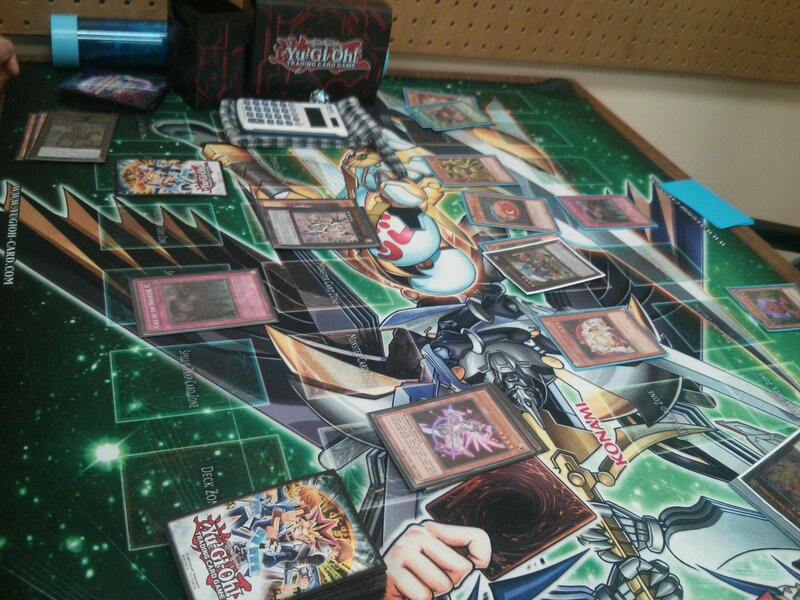 Jean-Luc uses Snake to change Deneb’s attack, then uses Ragna Zero to destroy it and draw 1 card. He sets 1 card, then attacks with Ragna Zero. In main phase 2 he normal summons a second Banisher of the Radiance, in his end phase his set card is spaced by Hanko’s Mystical Space Typhoon, revealing it as another Light-Imprisoning Mirror. Hanko summons Altair to summon Deneb to search Altair. He XYZ summons Exciton Knight and activates it’s effect, sending 2 Dimensional Prison and Mirror Force along with Jean-Luc’s monsters to the graveyard. Hanko sets 1 and passes. Hanko summons Altair, summoning Vega which summons Deneb and searches Altair. He attacks with Deneb and Altair and then passes. Jean-Luc summons Ally Of Justice Quarantine and passes. Hanko attacks Quarantine with Exciton Knight, then attacks directly with Deneb Vega and Altair. He XYZ summons Gagaga Cowboy and uses its effect to inflict 800 damage. He normal summons Altair to grab Deneb which searches Satellarknight Alsahm. He sets 1 and passes..
Jean luc attempts to normal summon Red Gadget and use its effect but is met with Satellarnova Alpha. Jean-Luc concedes, unable to make a followup play. Hanko wins the match 2-0.